RISE -THE BOOK – Building Motivation: I Can and I Will. What I admire most about this book of inspirational stories and poems is the author’s tone. On the one hand she is encouraging , but on the other she is challenging. This is a call to action. Rabello is not content simply to reassure her readers that they are capable of achieving their goals and overcoming their self doubts. Once she does that, she confronts and challenges her readers to take their new found self confidence and do something with it. Her message is not only “You’re OK.” Her message is “You’re OK and capable, and you owe it to yourself to use those capabilities to change your life. If you need a kick to the seat of your pants to get moving toward achieving your goals, you should start by reading this book. You have everything you need; now, Dare! For many of us, the road to a meaningful and joyful life may seem rife with insurmountable obstacles. Author Eliane Rabello understands this personally. She herself has been crippled by such consuming feelings of self-worth that she found it all but impossible to rise above her circumstances. However, soul-searching and a radically changed perspective worked to dramatically alter the quality of her life. Now, she draws from this journey to share a heart-warming, easy-to-use book on self-improvement that is rich in inspiration, and may just transform your worldview, as well as the world around you. In rhyming verse, prose poetry, and romantic short fiction, Rise gathers reflections and affirmations that have been created to compel others to take action in overcoming their own low self-esteem and fear. Written to engage, enlighten, and inspire readers to venture back to the dreams they’ve left behind, the author first challenges readers to dare to defy their present, unsatisfying lot in life, and then urges readers to rise again. With a focus on fighting fear while still feeling fear, this stirring collection rallies readers to find the courage and hope to accomplish the things they have always desired, but have never thought possible. “How Can You Dare” addresses the crippling fear and self-esteem many endure. “I Can” offers a similarly encouraging message that the time is now to spread their wings and leave the cocoon. “Believe” encourages all to unleash the power within them by simply believing in the possibilities that truly exist. “What’s your excuse?” takes a sober look at the obstacles many of us create, to overcome them and take control of our lives. The works of short fiction included in Rise also illuminate the mental hell we often create for ourselves. In “Unexpected,” a mourning widower Ethan pines for a beautiful and mysterious woman, who slowly coaxes him out of his own mental anguish and back to the world of the living. In “Serendipity,” a dreamer named Nina offers comfort to a gorgeous stranger in despair, and reaps surprising rewards for her kindness. “The Road Ahead” follows Ellen, an aspiring writer who shares her work with a frank, bitter man named David. While mining the damage of abuse, she is taken aback to discover the other side of the coin of David’s reality. “Worlds Apart” follows the tourist Mike as he rubs shoulders with the entrancing Ana at a Copacabana restaurant, and is swept off his feet both by the Brazilian culture and the woman who’s been struggling to fight her own demons. 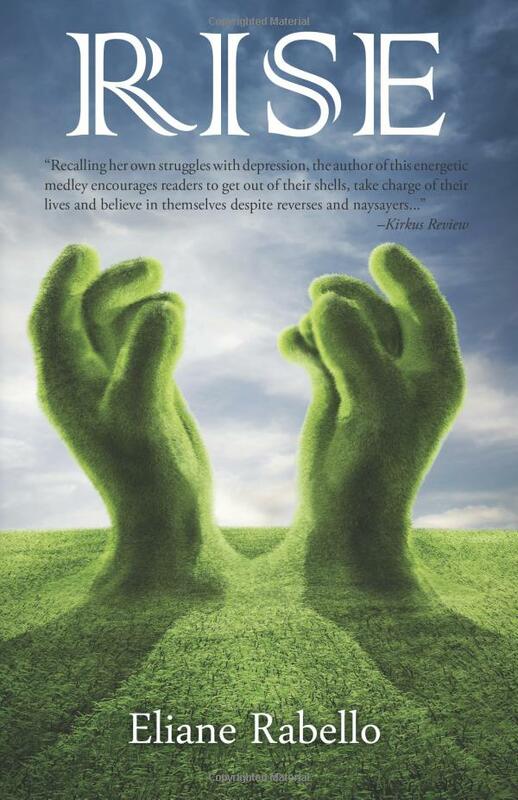 Advising readers to dare, believe, and act, Rise acknowledges that life, by its very nature, is hard and fearful, however it’s still more within anyone’s grasp to be happy and rise up in spite of the difficulties nurtured by low self-esteem. With compassion and enthusiasm, Rise explores topics with which many individuals will identify, while also offering a vantage that is groundbreaking and contemporary. Anyone in need of an encouraging boost will find reassuring and rousing words throughout the pages of this invaluable collection. A touching and energetic book that leads us to believe that we can trust our perceptions and develop our own capacity of healing our wounds if we want it. Definitely a book worth reading!